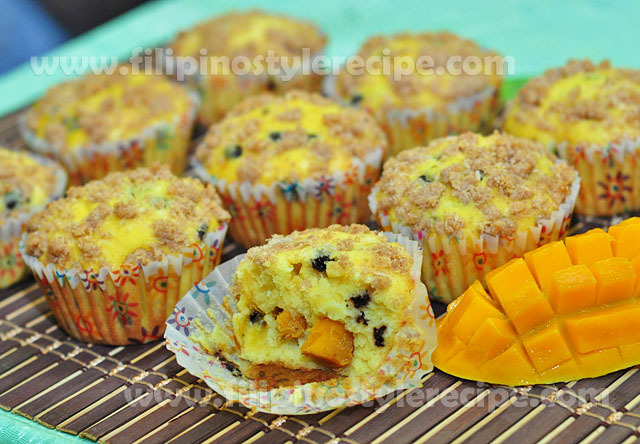 Filipino Style Recipe:This blackberry muffin recipe has a bit of crunch on the outside and moist on the inside.It needs few ingredients and quick and easy to prepare. 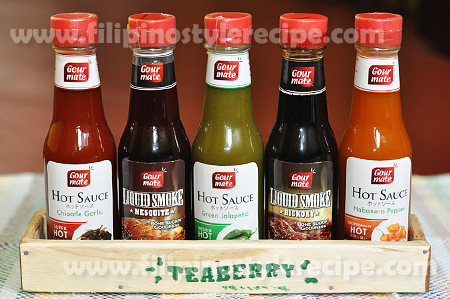 It’s another exciting flavor that you can try for variation. 1.In a small bowl, combine buttermilk and milk and set aside. 2. In a large bowl, cream together the butter, sugar, and salt until light and fluffy. Beat in the egg. 3. In a separate bowl, mix together the baking powder and flour. Pour half of flour alternately with the buttermilk mixture into the butter and mix by hand until just combined. Fold in the blackberry. 1. In a greased muffin pan, scoop the batter until just about full. Bake in preheated oven for 30 minutes or until golden brown. 2. Remove from the oven and let it cool. Serve and enjoy. 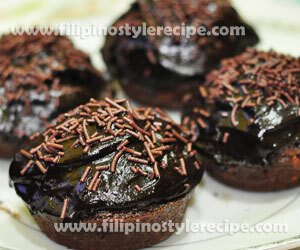 Filipino Style Recipe: Dark chocolate muffin is a rich chocolate taste pastry topped with chocolate frosting and chocolate sprinkles. 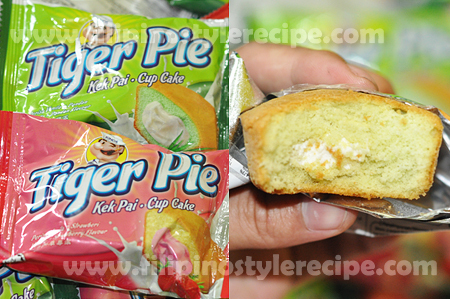 This is a perfect treat for your kids and guests. 1. 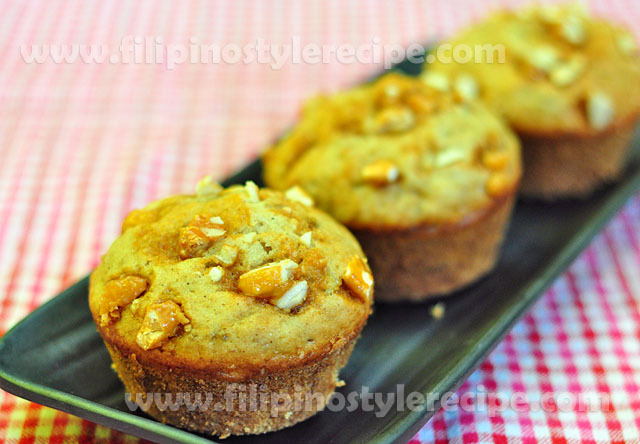 Prepare muffin pan by brushing with butter and sprinkling with flour. 2. In a separate pan, melt the butter and sugar syrup over low heat then stir in chocolate until melted. Remove from heat. 3. Add sugar and eggs then stir. Add vanilla and flour then mix until just blended. 4. Pour the mixture into the muffin pan and bake in a preheated oven over 300 degrees Fahrenheit for 20 minutes or until center springs back when touched. 5. Remove from oven and let it cool for 5 minutes before removing from the pan. 1. To make the frosting, combine butter, sugar syrup, and chocolates over low heat until melted. Remove from heat then stir in vanilla. 2. Frost top of the muffins then add sprinkles. Serve and enjoy! 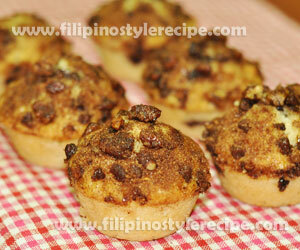 Filipino Style Recipe: Muffin is popular pastry bread specially in United States. 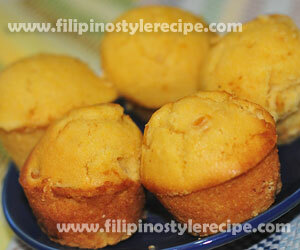 This bread is similar to cupcakes and usually serve during breakfast together with coffee, tea or other meals. 1. In a mixing bowl, combine flour, baking powder and salt then mix well. Set aside. 1. 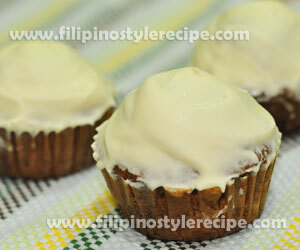 In an electric mixer, combine melted butter and sugar until well blended. 2. Add eggs, milk and vanilla then mix until to blended. 3. Gradually add the flour mixture then mix until well combined. 1. 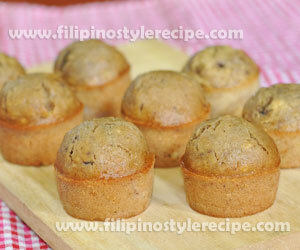 In a muffin pan, grease with cooking spray or place paper cups. 2. 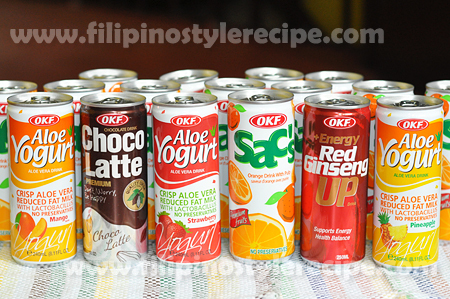 Pour batter into each cups until 2/3 full. 4. Remove from the oven and let it cool before serving.